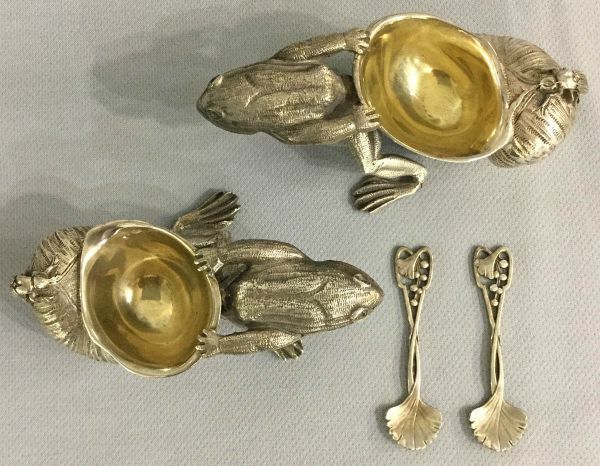 Figural silver plate salt cellars with gilded lining. 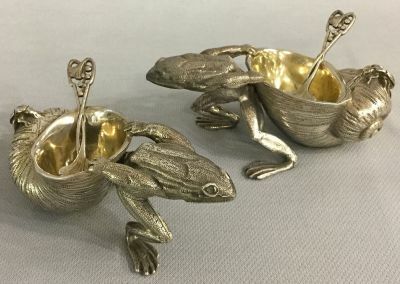 The frogs are pulling an upturned snail shell with a small beetle on the end. 4” by 2”, 1 3/4” high. 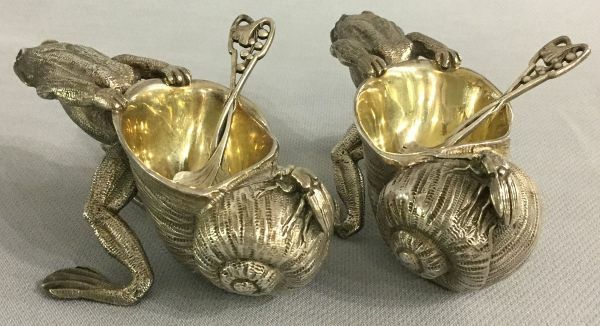 The salt spoons are silver plate.